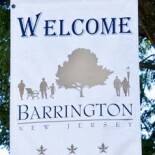 Neighboring towns consider consolidating police forces; should Barrington get involved? 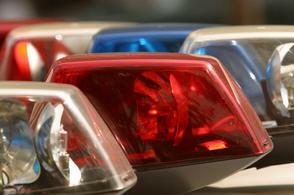 Haddon Heights, Haddonfield, Audubon, Oaklyn, Haddon Township, Collingswood and Mount Ephraim are studying the potential savings involved with merging senior police administration across the towns while allowing each department to maintain its own force and identity, according to several reports. The group of communities — calling itself the Colonial Alliance — compares its costs to those of Cherry Hill. That township has about 6,000 more total residents than the Colonial Alliance along with double the square mileage. But it pays a single chief about $150,000 per year, while the Colonial Alliance pays almost $800,000 to its chiefs, along with benefits. “This is only a study. We just want to look closely at how much management is needed and if this can be done in a way that preserves and betters our individual forces. We want to save money but not at the cost of safety,” Haddon Heights Mayor Edward Forte said in a report. The study partially comes as a response to the recent creation of a Camden County police force, Haddonfield Mayor Jeff Kasko said. As much as Barrington should look into this, we all need to review how Haddon Twp charges Barrington residents a high rate for sending students there. By taking the lead we may have more leverage, rather than following others, yet all sides need to be weighed. All you need to do is look at the largest line item in this towns 2013 budget to see that Barrington should absolutely consider joining are neighboring towns in a shared police service study. This entry was posted on July 22, 2013 by Barrington Bulletin in Borough Hall, Business / Money, Region, Safety and tagged police, shared services.